Introduction to biophysics. Bert Kappen,. Department of Biophysics. Radboud University Nijmegen. 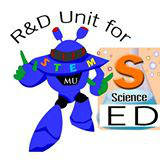 "R&D Unit for STEM Education @ Mahidol University "